The Sečovlje Salina Nature Park is situated in the southern part of the Slovenian Istria, close to the village of Sečovlje. 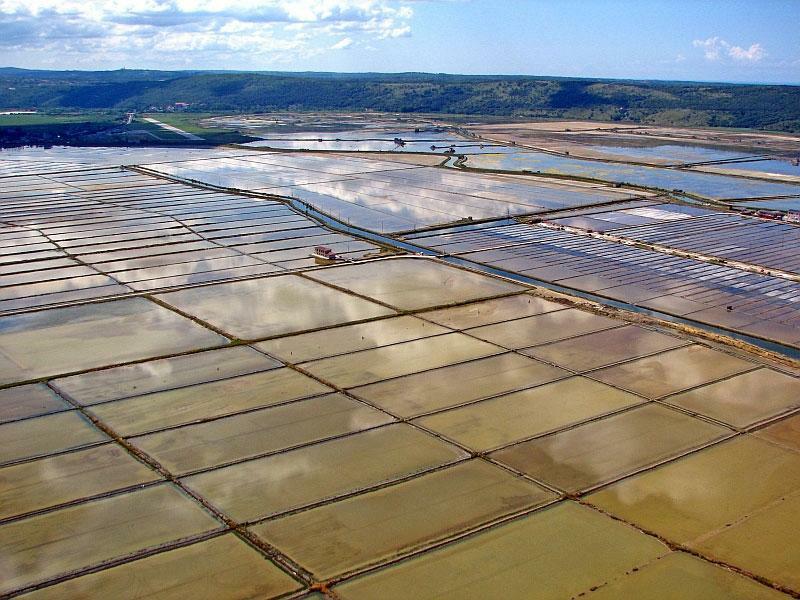 The Sečovlje Saltpans are the northernmost still active saltworks in the Adriatic, situated at the border between Slovenia and Croatia, covering the area of 6.5 km2. 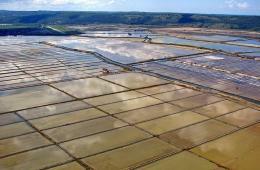 The main source of fresh water in the saltpans is the Dragonja River, which flows into the sea nearby. The saltpans at Strunjan and Sečovlje are the only saltworks on the eastern shore of the Adriatic Sea where salt is still produced in a traditional way. When water evaporates in the crystallisation basins and only salt remains, the salters rake the salt by special scrapers in large heaps and leave it to strain.